Divorce lawyer in Lahore- Divorce lawyers in Lahore- Best Divorce lawyer in Lahore Pakistan- Divorce procedure in Pakistan- Best divorce lawyer in Lahore. Anti-Narcotic case Lawyer, Nab case Lawyer & other agency case are handle in pakistan court. Our Law firm in Lahore Pakistan Aazad Law Associates is operating from Lahore since 2008 till now and have gained an expertize and perfection in all fields of law and all it’s branches and provide excellent legal services all over the country and to Pakistanis abroad. 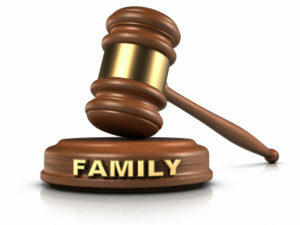 Nowadays trend of family cases are increasing and increasing family cases in Pakistan requires an experienced family lawyer in Lahore Pakistan who is an expert in all fields of family cases. 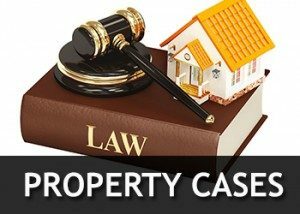 One of the major legal issue in Pakistan is Property issues. A person saves money for all his life just to purchase property but unfortunately whole of his money gets wasted when a legal issue related….. Among the best law firm in Lahore Pakistan Aazad Law Associates is the best law firm in Lahore Pakistan & is operating from Lahore since 2008 till now and have gained an expertize and perfection in all fields of law and all it’s branches and provide excellent legal services all over the country and to Pakistanis abroad. Since the establishment of Aazad Law Associates in 2008 it has been the best not even within the country but has also gained many respect and integrity all over the world. 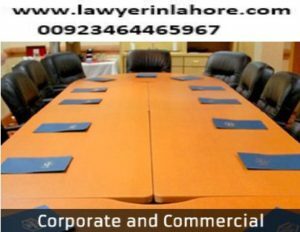 This firm is now amongst the top law firms in Lahore Pakistan and deal in all kinds of cases and have experts in all kinds of cases and have proved itself to be the best law firm in Lahore. Our best Law firm in lahore Pakistan Aazad Law Associates have its expertise in the field of Civil, Criminal, Corporate and Family cases. The CEO of this law firm is Advocate Muhammad Ali Naeem Azad who is an expert in all kinds of cases and is considered as an all a rounder within Pakistan and abroad as well and the firm also have a variety of lawyers / Advocates which makes this firm a team of professionals and this professionalism is also recognized by everyone within Pakistan and abroad as well and by all those private people and group of legal entities who have been the clients of our firm and they recognize our excellence. This recognition have made Aazad Law Associates the best amongst the top law firms in Lahore Pakistan. We have maintained the quality of legal services provided by us through our expert lawyers in Lahore Pakistan and Aazad Law Associates is also committed to provide same level of quality services to our clients. Aazad Law Associates have its motto to provide quality legal services in Lahore Pakistan and to provide excellent customer service also which makes our firm unique in itself. We in past since the establishment of our firm through our professional services and customer service and satisfaction have created great relations with our clients which have increased our clients all over the world due to good name and reputation which we have gained by putting all our efforts. We update our clients regarding the proceedings with all the necessary means which includes updating the clients with email, text messages, Calls etc. We protect and safe guards the rights of our clients through all means but the only thing which our firm does not do is that we do not misguide our clients. If they have any right and if they can avail any remedy we guide them and proceed with their cases but if they do not have any right and if we feel that the case will not go in our clients favor we clearly inform our clients regarding this fact and do not conceal anything and this thing have helped us a lot to win the trust of our clients. We not only win cases but also win the trust of our customers. We believe in building professional relations with clients which make us unique amongst the other top law firms in Lahore Pakistan. Our Best Law firm in lahore Aazad Law Associates also operate our offices from other cities of Pakistan which includes Karachi, Islamabad, Faisalabad, Multan, Rawalpindi etc. All this is because we have a huge number of clients all over Pakistan. We also have large number of clients from Middle East specially UAE, Saudia Arabia, Oman etc. A vide range of European are also our clients and the majority of them are from U.K, U.S.A, Canada, Germany, Italy, France etc. We also have other expert lawyers on our panel who works for Aazad Law Associates and they all have proved themselves to be the cream amongst the Lawyers. Aazad Law Associates have its expertise in the field of Civil, Criminal, Corporate and Family cases. The CEO of this law firm is Advocate Muhammad Ali Naeem Azad who is an expert in all kinds of cases and is considered as an all a rounder within Pakistan and abroad as well and the firm also have a variety of lawyers / Advocates which makes this firm a team of professionals and this professionalism is also recognized by everyone within Pakistan and abroad as well and by all those private people and group of legal entities who have been the clients of our firm and they recognize our excellence.